Many people have tried online computer translations when researching a word or phrase. The results can be very entertaining. This is because computer translations really lack clarity and finesse. It will be a long time before they become reliable the way most human translators are. Below are some classic examples. We hope these were done by a computer, but even translators who lack experience can make these mistakes. This is fun to read while browsing the internet during a lunch break. You wouldn’t want to read these kinds of mistakes in a contract, school lesson, or in other important documents. Your reputation may be on the line when you use poor translations. Your professional image may be at stake. Your classroom will certainly be disrupted as the students react to the obvious mistake! Clients may see a mistranslation and wonder about you. They may think you don’t have the skills to meet their needs or that you have a problem caring about professionalism. In a global work environment, your reputation needs especially careful protection. Don’t look silly because you took shortcuts with translations. Show respect for the cultures you work with by using the professional translation services The Spanish Group LLC provides for documents, texts, and more. You need experienced professional document translation services that can capture the intended meaning of an idiom. You need The Spanish Group LLC. We can provide that level of reliable translation for legal documents, personal documents, and more. Our translators combine experience in over 90 languages. This means that your document will be in safe hands. Legal terms have very specific meanings and must be used correctly to convey the meaning of the law. Personal documents may have multiple phrases that simply don’t translate directly without an understanding of the culture behind the sayings. Even signs need to be clear in what they mean. The risk in low-quality translations is not only that simple misunderstandings will occur. The risk also includes offending one or another party in a translation situation. Many translations look so bad because they suddenly inject offensive slang meanings when they didn’t intend to. Some clients will laugh this off. Others most definitely will not. 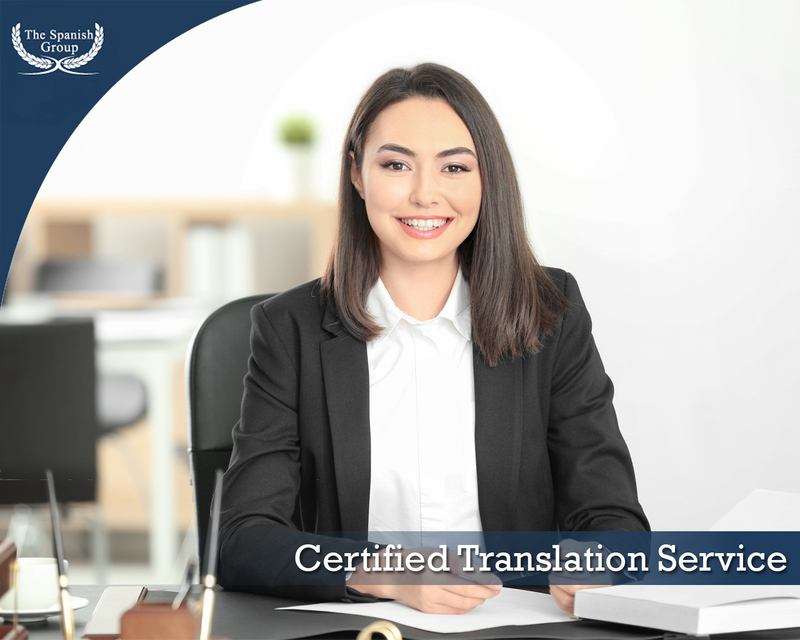 We hate to see professional reputations be ruined when reliable document translation services were available through our translators. The Spanish Group LLC provides translations that you can depend upon. We stand by our reputation for global translation services in legal documents, books, historical records, professional contracts, and more. We will make sure you are understood the way you intended.